What Happens When a Kentucky Doctor Makes a Wrong Diagnosis? The failure to diagnose any disease or condition can be dangerous; depending on the condition, it may even be deadly. If the physician is truly listening to the patient and takes the time to put all the facts of his case together, an accurate diagnosis can often be made. When caught and treated early, cancers—from breast cancer to colon cancer—can be more effectively managed and controlled. However, when cancer is not diagnosed despite the fact that the patient has sought medical care, the cancer may progress and the prognosis may be more serious. Early detection of cancer is key to improving survival rates. It is a doctor’s responsibility to listen to the concerns of the patient, to follow the symptoms carefully, and to use appropriate tests to help make a proper diagnosis. One in 47 people who has diabetes is not diagnosed. Undiagnosed diabetes can lead to heart disease, stroke, loss of sight, possible amputation of an extremity, or death. This serious condition is also being grossly under-diagnosed in children, despite the availability of tests to make a proper diagnosis of this condition. Strokes are serious and potentially deadly events. They are a leading cause of death in adults. Often, medical professionals will fail to recognize a stroke has occurred when a patient has suffered a transient ischemic attack (TIA). Though these attacks may leave no permanent damage, they can be precursors to a major event, and all too often they may be overlooked by doctors. This puts the patient at serious risk for a second and more deadly stroke. The more serious attack could have been prevented if only a doctor would have fully evaluated the patient and recognized the TIA when it occurred. An aneurysm has the appearance of a bulge in a blood vessel. It’s a weak area that swells outward. When there is a failure to diagnose an aneurysm on the part of medical personnel, the blood vessel can burst. If the aneurysm is dissecting, rather than bulging, a tear will form in a layer of the blood vessel. When blood leaks from the tear, other layers of the blood vessel will dissect, or separate. This leads to sudden hemorrhage from the vessel into surrounding tissues, a quick loss of blood pressure, and death. Aortic aneurysm: Rapid heart rate, severe chest pain, sweating, back pain, dizziness, nausea, and vomiting. Brain aneurysm: Seizure, severe headache, light sensitivity, nausea, vomiting, and pupil dilation. The failure to diagnose an aneurysm might occur if your medical team fails to order testing to further explain your symptoms or sends you home from the emergency room prematurely. When an aneurysm is diagnosed in a timely matter, it may be surgically treated. If your doctor fails to diagnose an aneurysm, your prognosis will be grim and could include severe internal bleeding, brain damage, coma, or death. The failure to diagnose or the misdiagnosis of an infection can have devastating consequences. Without an accurate diagnosis, the patient will not be prescribed the proper antibiotic that could treat the infection. Accordingly, the infection may continue or worsen and result in permanent harm or death for the patient. Often, simple lab tests can confirm a doctor’s initial diagnosis, which is based on a physical exam. Despite advances in diagnostics and medical protocols, many heart attacks are still missed. A study published in the New England Journal of Medicine stated that one in 50 heart attack victims are sent home by emergency room doctors by mistake. Missed heart attacks are often the result of errors in diagnosis, and can lead to serious health complications or death. Lack of testing. 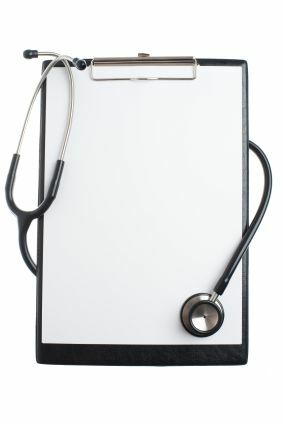 Doctors may assume they know what a patient’s condition is without performing diagnostic tests. This can lead to missed or delayed diagnoses. Failure to consider all options. Many physicians are overbooked and will rush through appointments as quickly as possible. As a result, a doctor may make an assumption about a diagnosis without considering all of the possible diagnoses. Failure to notify patients of test results. Some patients may never hear back from their doctors after a blood test, and they may assume that is because the test results were normal. However, that may not be the case. Instead, the lab results may have been lost, misread, misfiled or just forgotten about. Lack of communication. If a patient is seeing more than one doctor, then it is important for the doctors to communicate with one another so that each doctor may make a proper diagnosis. If doctors fail to communicate or share test results with one another, then a delayed diagnosis or misdiagnosis can occur. If you suspect that you or a loved one is a victim of failure to diagnose—a form of medical negligence—then you deserve to know for sure. You deserve answers. Please start a live chat with us today if you would like help getting those answers that you deserve. What Does it Mean When Doctors Fail to Diagnose My Condition?